Old Havana is an exquisite, sophisticated and elegantly refined tobacco scent with all of the nuances of the highest quality handmade premium cigars, carefully aged and stored at optimum temperature in a Spanish cedar lined humidor. 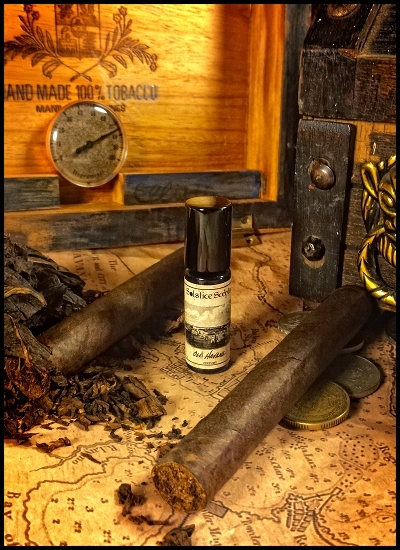 This fragrance illustrates the wrapper, tobacco within and wooden cigar storage box. 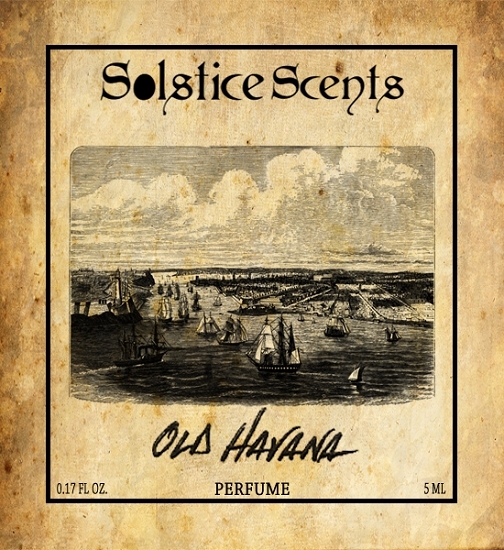 Old Havana also features warm spices, a delicate squeeze of fresh lime top note and a splash of salty sea spray and moist beach sand. The lime is very subtle and detectable upon cold sniff and initial application. Beyond the opening, the smooth tobacco, soft woods, spice and sea spray swirl in an intensely beautiful, mysterious and realistic fragrance. Transport yourself. Premium Fragrances are a blend of exquisite or rare essential oils, absolutes, exotic authentic Indian attars and/or top shelf fragrance oils blended in either rice bran oil or Organic Cane Sugar alcohol as indicated in the listing. Gently agitate your premium fragrance with the cap on by turning it up and down before applying. This will allow oils or absolutes which may have separated due to the varying weights of each oil and carrier to fully reincorporate. Rotate several times to insure thorough mixing. Premium Fragrances are packaged in a clear 5 ml glass roll-on with black cap. For best results, store your fragrances in the upright position away from heat and light. The fragrance will be neatly handwritten in black ink on the label.